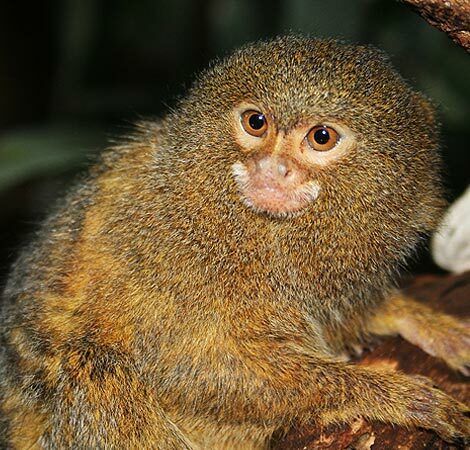 Pygmy marmosets are the smallest living true monkey in the world, hence, they have been given a genus of their own, Cebuella. They are from South America and can be found in Brazil, Colombia, Ecuador and Peru living in small groups of 5-10 monkeys. Each family has one or two trees in it’s territory to provide all the gum they need. They have specially adapted teeth to allow them to chew small holes in tree bark to reach the gum and sap inside. Pygmies have become threatened in some areas due to habitat loss as a result of logging and livestock farming, as well as collection for the pet trade.